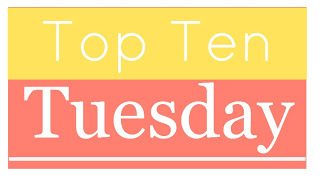 I haven’t been doing the Top Ten Tuesday posts for that long so I went back to the Top Ten Tuesday Archives of The Broke and The Bookish, who are hosting this lovely Tuesday meme, and I found a Top Ten I would have liked to do. At first, I thought it was going to be easy but then I noticed I’ve done a review on almost every book I’ve read this year. This Top Ten Tuesday ended up being much harder than I originally thought. Without further blabbering from my part, here is my Top Ten list for this week! Which books would you like to review if you had the chance?